It has not rained here in what seems like forever, and today the sky has opened up and it is pouring, and it has been for hours! The smell is heavenly. I could not resist going out and quickly snapping the raindrops collecting on the coneflowers outside of my house. Shared On: Friendship Friday; Friday Photo Journal; Friday Finds; Weekly Top Shot; Fertilizer Friday; Floral Friday; Today's Flowers; Scenic Weekends; Sundays in my City; Macro Monday; I Heart Macro; MakroMontag; Good. Random. Fun. Beautiful macro... and you need the rain, plenty of it, for a good long while. I''m soooo happy to see rain - finally! Nice capture of the raindrops. Yea for the rain! I didn't get hours at my building, but what we did get I greatly enjoyed. I went out and shot a 15-second video for Instagram and Facebook, so excited to hear and see real drops of rain! Your photo is gorgeous! Love your image... and the rain! 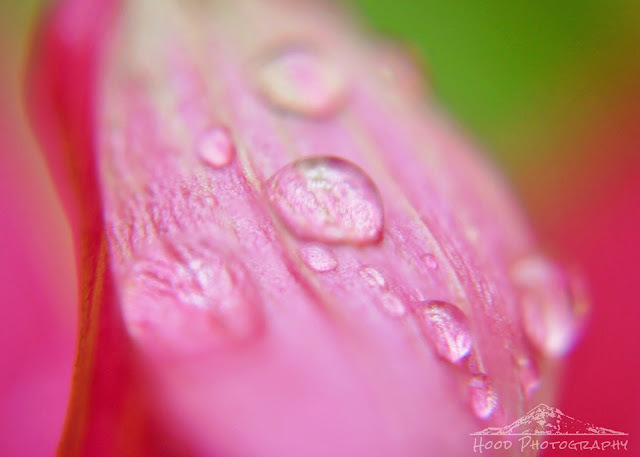 Beautiful shot of the raindrops on the petal. So glad to hear you're getting some rain. I'd like to send you the rain we're getting today too. Beautiful image.